One such program is the Courage Center Duluth’s annual Great Lakes Mono-Ski Madness in Duluth, Minnesota. 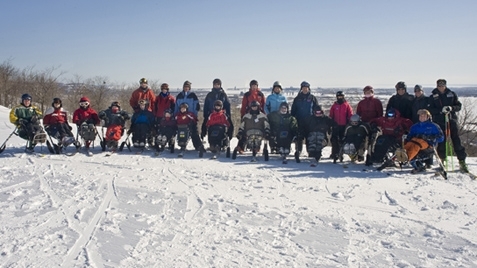 It is one of the largest adapted learn-to-ski events in the Midwest. The Courage Center’s Sports and Recreation Department receives funding from the United States Olympic Committee (USOC) to expand recreation activities to veterans with disabilities. 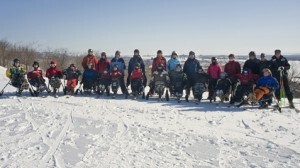 Vets from Minnesota, South Dakota and Illinois will be at Spirit Mountain this week participating in Mono-Ski Madness. The goal is to become independent mono skiers (highest functioning sit skiers with a goal of competition). Participants learn valuable tips to improve their skiing and try out the latest adaptive equipment. They also get a chance to socialize with their peers. Over the three days, participants learn from and ski with Olympic-caliber skiers and their skiing skills are critiqued by ski instructors and peers. For many, the experiences at this event lead to life-long participation in sports and a healthier lifestyle. Some of the veterans who participated in the ski program are also from Operation Liberty. Operation Liberty is a grant funded by the Department of Defense through the USOC. Their mission is to provide sports and recreation opportunities to help vets rediscover their athletic abilities following an injury or disability, and to reintroduce them to activities they enjoyed before their injury. 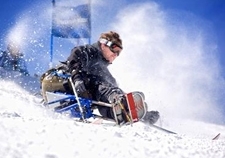 In addition to alpine skiing, vets participate in curling, Nordic skiing, adapted golf, archery and biking.